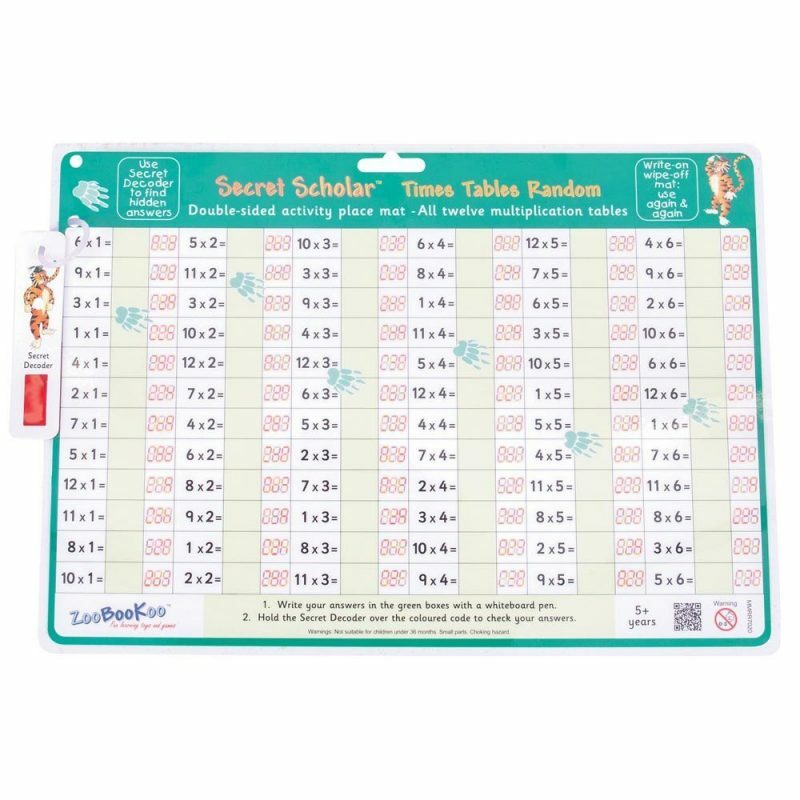 Make learning times tables even more fun with the ZooBooKoo Times Tables (Random) Place Mat, with Secret Decoder. 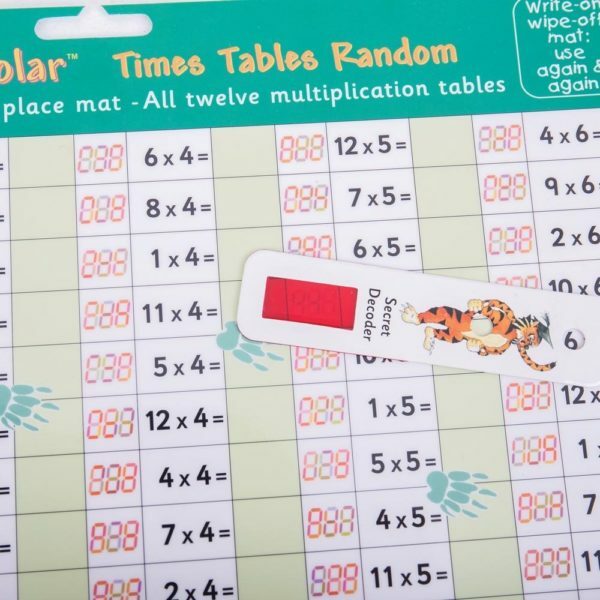 The double-sided, reusable, write on/wipe off activity place mat includes all 12 multiplication tables, in order. 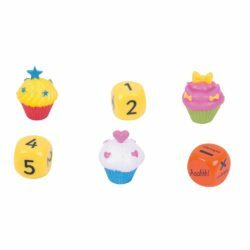 This isn’t the best of it though! Children can work their way through the times tables writing the answer with a dry wipe pen. 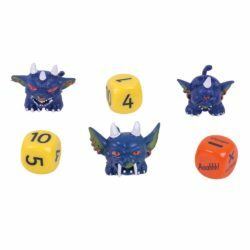 WordUnited will provide a dry wipe pen with an eraser free of charge. 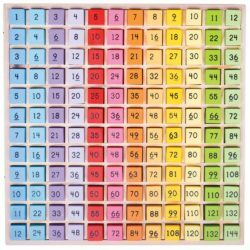 Once complete they can check their answers using the supplied red reveal decoder – revealing the answer! 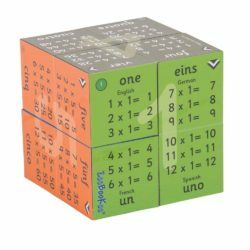 As soon as the decoder is moved away, the answer will be gone again. 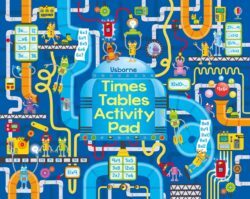 The ZooBooKoo Times Table Activity Place Mat supports and complements the National Curriculum for Numeracy. 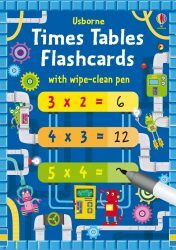 Great for use in the classroom, at home or on the move – infectious fun learning all of the time. 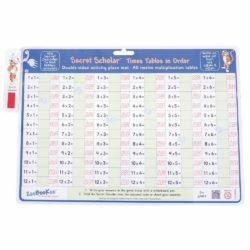 WordUnited will provide a dry wipe pen free of charge! 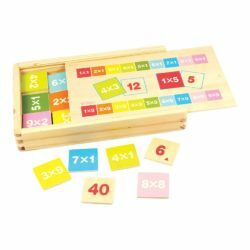 Develops mathematical skills and makes learning the times tables fun!